Celebrating in a big way, some San Diegans went all out for this Easter holiday. SAN DIEGO (CBS 8) - Celebrating in a big way, some San Diegans went all out for this Easter holiday. 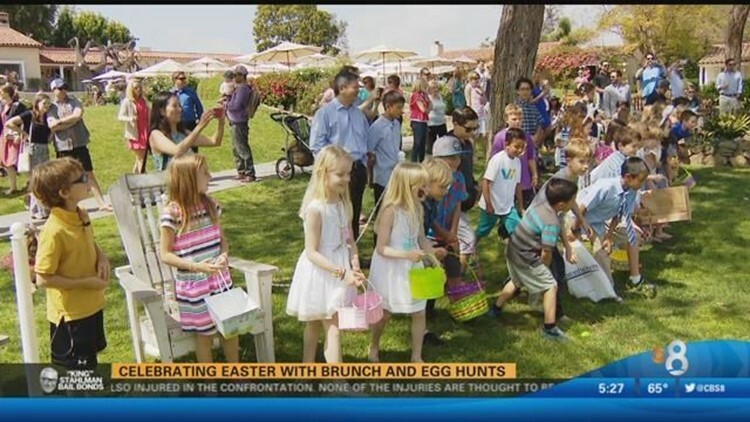 The Inn at Rancho Santa Fe hosted a special Brunch and Hunt for families and Belmont Park in Mission Beach hosted a massive egg giveaway, passing out more than 10,000 eggs. CBS News 8's Heather Hope has the details about Sundays Easter activities in this video report.